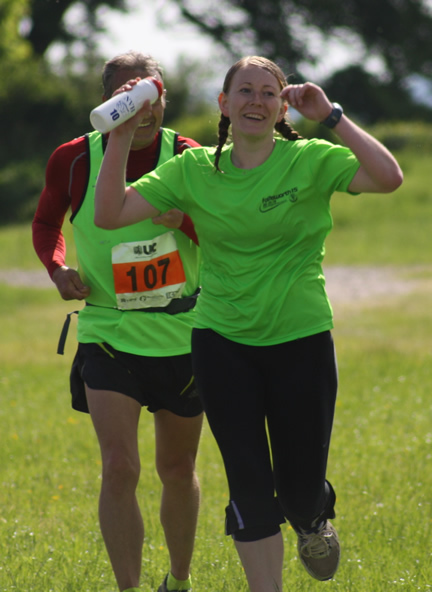 Shires and Spires was my first ultramarathon back in 2013. I went on to run the race two more times in the following two years and this year, 2016, was my first year of not running the event since entering the world of ultramarathons. It did make me sad that the build up to race day this year wasn’t packed with recce runs of the route and mid-morning café stops for milk and cake along the course for me. No sunny days filled with jokes and friends and beautiful scenery. It was nice, however, to see things from the other side of the race tape and marshal for a change. I’ve marshaled at nearly all of the Go Beyond events before. 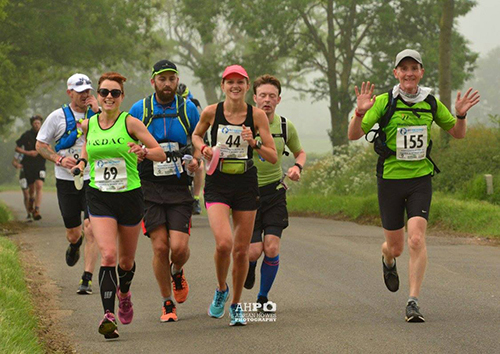 (The Race Director runs with our running club) but never marshaled at a Go Beyond event that I have run beforehand or know as inside-out as I do the Shires and Spires 35mile course. I was very capable of answering all questions directed my way by the runners on Sunday! 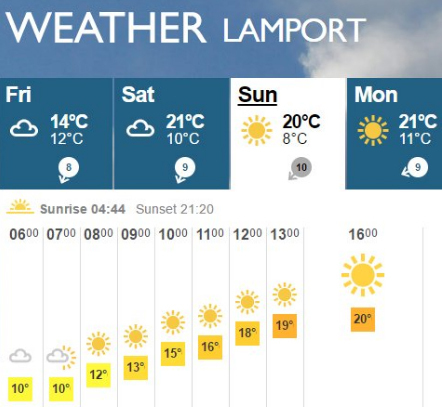 A few days before the race I checked the forecast to see that the weather Gods had decided not to break the tradition of race day being super hot and sunny. Although when I arrived at Lamport Hall a little before 6:30am to help set up the registration desk I was freezing, despite being bundled up in jeans and two layers under my Go Beyond crew hoodie. Having worked at several of the Go Beyond races now, I always get runners coming up and saying hello which is really nice, especially those runners that come back year on year. A couple even congratulated me on my pregnancy this past weekend although commiserated with me that I wasn’t running the event. There were no pre-race issues and so at 8:20, ten minutes before runners were due to set off, I moved over to the edge of the hall to direct runners away from the car park and out onto the road at the start of the race. I managed to remember not to cheer runners past as I stood filming behind the phone. However, it is clear when the Wellingborough runners passed as the mad waving I did at them with my free hand clearly affected my filming abilities – the picture is all over the place! It’s hard to tell in the video how foggy it was out there at the start of the race, but you get a bit of an idea from this picture taken by Adrian Howes, the official photographer. I was the first of the marshals to arrive at checkpoint two – situated just before mile 9 on the course. Even the van with supplies had yet to arrive, which made me a little nervous! All I had to offer runners was two half-full bottles of water I found lurking in my car from previous events, a pre-packaged croissant that Dan hadn’t had for lunch the week before and two softmints at the bottom of my left pocket. 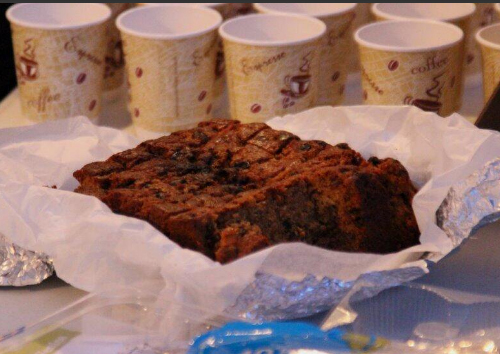 Luckily, the other three marshals soon arrived, closely followed by the Go Beyond van which delivered 21 packs of water bottles, a few boxes of jelly babies and a supply of GU gels along with two portions of the famous Go Beyond fruit cake. I pulled a couple of the new Chocolate Peanut Butter GU gels from the checkpoint to try in the Autumn as the flavour sounds so yummy, but they are apparently not suitable for pregnant women so I have to hold off for now. I took charge of writing down the race numbers of runners which Kelly shouted out to me as she directed the runners to dib in to the timing device on their way through to the checkpoint. Donna and Trevor were in charge of topping up the supplies on the table and helping runners fill up their bottles where necessary. The previous day Dan and I had headed to Manchester as we had tickets to see Coldplay. Saturday was super hot so we started the afternoon off with a walk into the centre of Manchester for lunch about 30 minutes away. Good times, but very tiring. After a quick lunch on Sunday following the race marshaling I napped all afternoon! Have you been to many gigs? Who is the best band you have seen live? What is your favourite gel flavour? Do you cope well on little sleep? Ah that’s a shame about the GU – it does sound amazing! 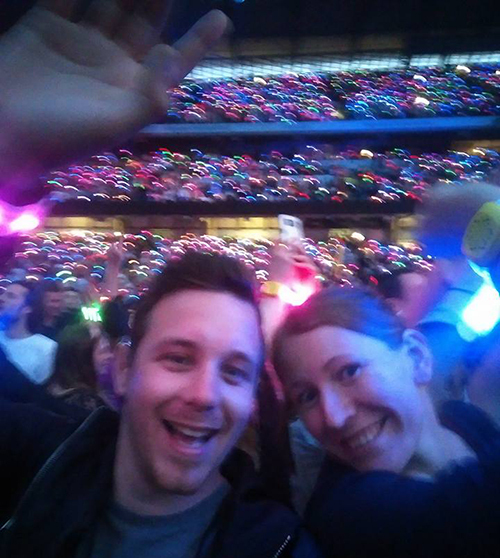 I bet Coldplay were good – I have heard rave reviews about them from the Radio 1 Big Weekend on the Sunday a couple of weeks ago. I have been to a fair few gigs in the past, but they’re mostly metal or rock. I was saying to a friend the other day that I would like to see someone like Beyonce in concert, and she said she had a spare ticket for Cardiff, so we’re off to see Beyonce at the end of the month! As for sleep? No, not really, I’m much better on 8 hours, but I can just get on with it and not be too awful to deal with (that has got better with age!). I’ve mostly been to see Indie or Emo/Rock bands in the past too. Download and Leeds festivals used to be my Summer trips of choice! It’s always nice to see someone mainstream as well though. I think Beyonce would be fab! What is in the gel for it not to be suitable? Sounds worrying! I love going to see bands live- it’s how I met Andy and although we go to less and less now, this year we’ve seen Travis and Manic Street Preachers, and next weekend we’re going to Manchester for the Stone Roses. We saw Coldplay supporting Ash, just before they released “Yellow” and he was a cocky guy back then, telling is “this is the song that will make us huge”, (it did, but it didn’t endear him to the crowd!). Muse or Foo Fighters are probably my favourite bands to see live because they add to the tracks, plus Dave Grohl did the most awesome drum solo that I have ever seen. Living close to London means we have a good pick of venues, but now going out on a week night is not so easy, I am terrible with little sleep! I know! I guess it may be any caffeine that makes it not suitable for pregnant women? I think Travis would be great to see live. I bought tickets for a friend and her boyfriend several years ago, and ended regretting not getting one for myself afterwards! Such a shame that Chris Martin came across as cocky in the early days. He didn’t seem that way at all when we saw him, although I didn’t take too well to Dave Grohl when we went to see Foo Fighters last year for a similar reason. I have seen Muse before – in the pouring rain headlining at Leeds back in 2006 I think it was? They were awesome! That is SO cool about the lighting up Coldplay wrist band things. Love this! Coldplay are a big fan of their colours aren’t they so this makes sense. 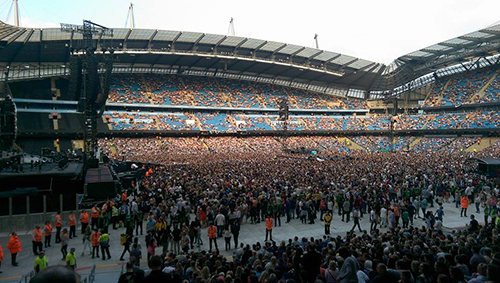 I’ve not actually been to many gigs at all… Can you call Kylie Minogue a gig?? It was very good anyway (and the night before my Science SATs…). I saw Hoobstank (remember them? Haha!) in the Southampton Guildhall. But that’s it. I would have seen Stereophonics had I not left the tickets at university (found that out half way there with my dad…). I love listening to music but I’m not really into seeing it live or festivals. Too much effort! Sounds like a really long day marshalling, but well done! It’s great because you knew so much about it so could be really helpful to newbies. I love your list of excuses for not seeing the finish – you hardly need an excuse and certainly not that many!! My favourite gel flavour is salted caramel. So far I’ve tried two (Clif and Mulebar) and they were like liquid caramel. SO tasty. Bit weird that you can’t have gels when pregnant? (Or certain gels). Weird… Maybe the more natural ones you can? I get up so early and tho it’s horrific I’m OK. But I am finding myself taking more naps recently…I never used to nap but now if I work from home I schedule in a cheeky 30 minute nap into my time. It’s bliss! So much better for my work afterwards as well as I’m far more compos mentos. Dan went to a few gigs while he was still at school as well (he admitted to seeing S Club once! ), but I never really got into seeing bands until towards the end of my A levels. I would imagine the more natural gels would be fine for pregnant women, although at the moment I’m not running the distances to need any so haven’t really looked into it.